When S U M M E R weather rolls around, it's essential to not only switch up your wardrobe in your closet, but the makeup in your bag! Summer makeup versus winter makeup, should be a little different! Summertime essentials should be lighter, fresher and a little brighter! It's not always something we think is important, but changing up your foundation to a lightweight sheer formula and even having some glow to it, always looks the best throughout those summer months! Here are a few of my favs for this season that will keep you looking your best . . . This tinted moisturizer is lightweight, yet great coverage and my favourite for this time of year! Gives a subtle glow and even skin tone. The perfect choice for this season. 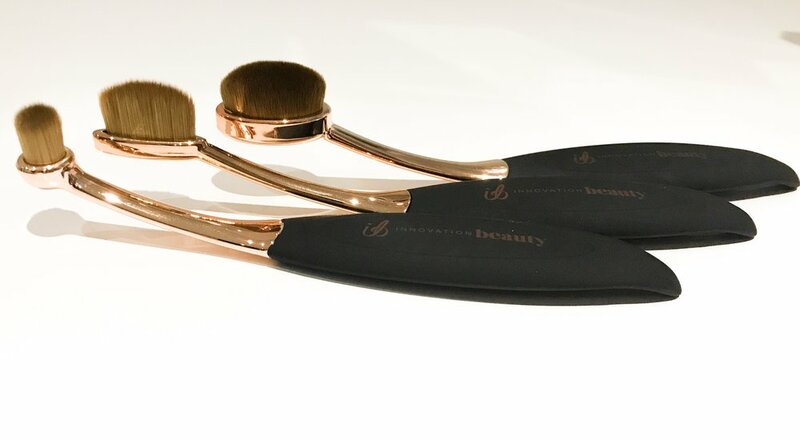 These sculpting makeup brushes come in small eyeshadow to large blending sizes. The secret to good makeup always comes down to the tools you choose! You can find these at any great department store(Winners,Marshalls,Nordstrom) If you need some brushes, go pick some of these babies up! This lip liner is not only under $3, but the best neutral colour that I have found and use everyday! Getting in the routine of applying a lip liner is something I recommend! Not only does it stop your lipstick from bleeding on those hot days, but adding a light gloss, to create a simple and quick natural lip colour poolside, or running some errands in your cute little romper! A must have in my makeup bag year round! I suggest ordering a few of these at once, because you will not only fall in love with the creamy, easy to apply texture but the colour for everyday wear! I am always a lover of bronzer, but the odd time, the natural blush on the cheeks is so bright and fresh! Three awesome colours for all skin tones! Peach, light pink and deep pink. This trio is new and the perfect add to that summertime glow for your cheeks! This trio comes in a bunch of different shades as well! I know Matcha is the new craze, with many benefits! So I had to give this cleanser a try! I have used it for about two weeks now and I highly recommend it! It leaves my skin super soft, clean and fresh! It has little exfoliating beads on it which I don't usually like for everyday cleaning, but these are so little you can hardly tell they are there! If your looking for a cleanser I highly suggest trying this one! It will leave your skin fresh and oh so soft! So I stumbled upon this amazing reddish/pink lipstick when searching for something bright but not red! I usually go for a true red when I want to be more bold. So this was a great in between to have on during the daytime all the way through to night! It's definitely still bold but makes any natural eye really pop while not being a true red! A super versatile colour that is a great one to have in your bag! So this I have already had to restock because I absolutely love the colour for the summer months! It goes great with any bright summer outfit and totally amps up those days during the summer when opting for minimum makeup poolside. 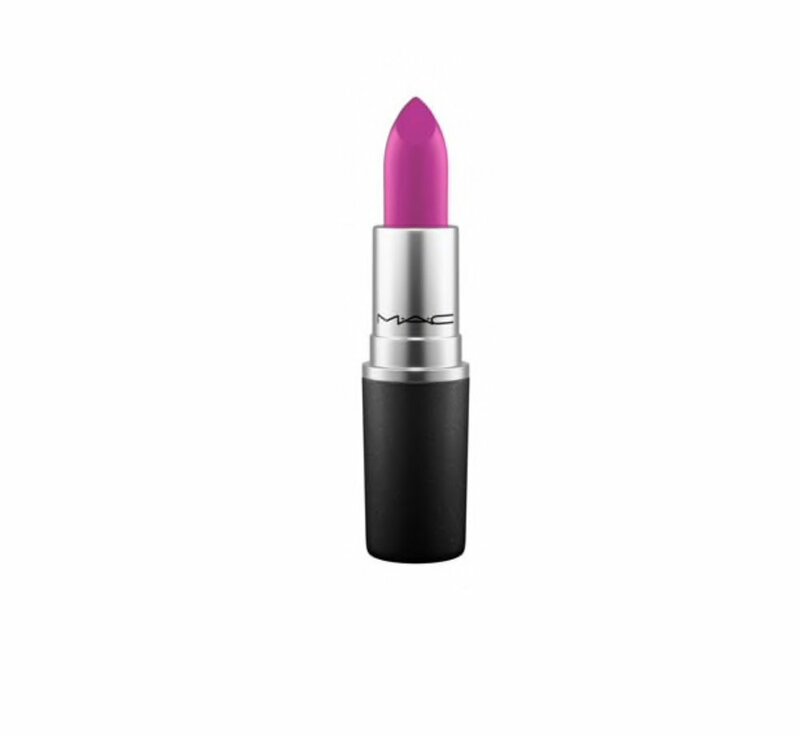 It looks more purple but when you apply it the the lips it is a great plum/pink that works with many different skin tones! A great summer colour in my bag for sure! This colour is a great everyday- goes with everything type of colour! I am usually a bright lipstick lover since I don't always have time to play up my eyes for daytime, but after finding this, it has been an easy throw on when I just want something more muted! A great natural option! So I have been eyeing(no pun intended!) this palette for quite some time now and finally caved and ordered it online! It is mainly matte colours which is great for keeping it fresh in the summer and not looking cakey during those hot days! The golds and coppers are always a great summer choice to enhance any eye colour while giving you a nice bronze summery feel! This palette is a must have summer purchase!! If your looking for a few new summer essentials, check out these amazing products and get your makeup bag summer ready! Let me know some of your favourite products for the summer! ?